NOTE: Once you send your request for the free e-book and you did not receive it after some time, kindly check your "Spam Folder" or "Bulk Mail" as the case may be. We are sure it will be there. 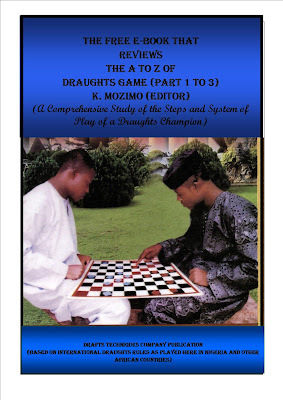 If after checking, you still did not receive the e-book, kindly let us know by sending your email to: info@draftstechniques.com. 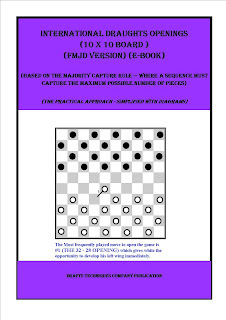 To purchase the COMPLETE E-BOOK (CLICK HERE). I requested for your free eBook. I must commend you for the prompt response and the rich content of the materials/games therein. Thank you for your comments. A new post will be released this week that largely address your concerns. Kindly subscribe to this site to enable you receive notifications when this post is out or subsequent post from us. (Subscription is free). Av bn trying to get the book but I couldn't, is there something I'm doing wrongly? Hi! We do not think you are doing anything wrong if the email you sent it to is correct. You will probably find ebook in your spam folder. If however, you checked and did not find it there, kindly let us know by sending your email to: info@draftstechniques.com and we will send it to you. We sincerely thank you and look forward to getting your feedback.